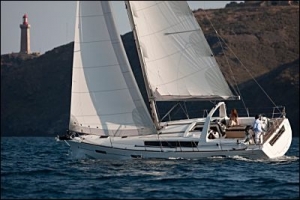 5% discount for a Jeanneau 53 from Bodrum on 27th April 2019 to 4th May 2019. 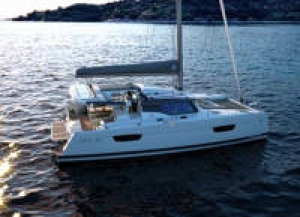 5% discount for a Jeanneau 53 from Bodrum on 4th May 2019 to 11th May 2019. 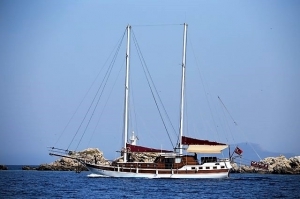 5% discount for a Gulet from Bodrum on 11th May 2019 to 18th May 2019. 26% discount for a Sun Odyssey 419 from Athens on 18th May 2019 to 25th May 2019. 35% discount for a Lagoon 400 S2 from Athens on 25th May 2019 to 1st June 2019. 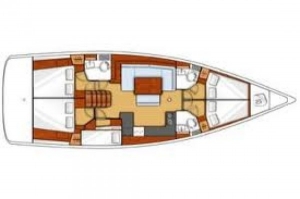 20% discount for a Dufour 405 GL from Port Pin Rolland on 8th June 2019 to Ajaccio on 15th June 2019. 20% discount for a Sun Odyssey 519 from Athens on 15th June 2019 to 22nd June 2019. 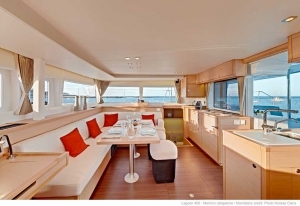 25% discount for a Sun Odyssey 349 from Ajaccio on 22nd June 2019 to Port Pin Rolland on 29th June 2019. 20% discount for a Sun Odyssey 519 from Athens on 22nd June 2019 to 29th June 2019. 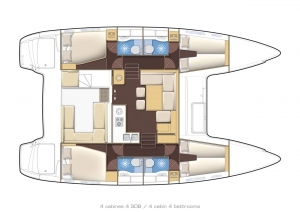 60% discount for a Oceanis 461 from Tenerife (Radazul) on 14th March 2020 to Palma de Mallorca on 4th April 2020. 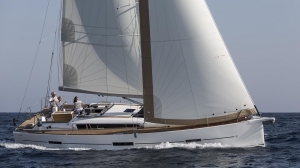 65% discount for a Oceanis 45 from Gran Canaria on 18th April 2020 to Palma de Mallorca on 9th May 2020. 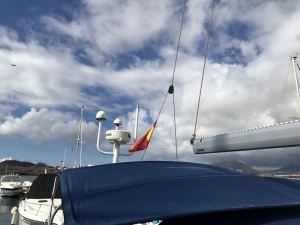 47% discount for a Oceanis 48 from Gran Canaria on 18th April 2020 to Tenerife (Radazul) on 9th May 2020. 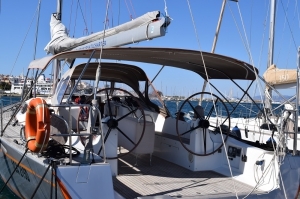 55% discount for a Oceanis 45 from Tenerife (Radazul) on 18th April 2020 to Palma de Mallorca on 9th May 2020. 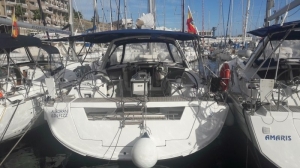 54% discount for a Bavaria 51 Cruiser from Gran Canaria on 18th April 2020 to Palma de Mallorca on 9th May 2020. 39% discount for a Sun Odyssey 519 from Gran Canaria on 18th April 2020 to Palma de Mallorca on 9th May 2020. 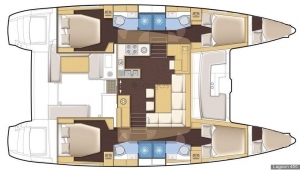 66% discount for a Oceanis 473 from Tenerife (Radazul) on 25th April 2020 to Palma de Mallorca on 16th May 2020. 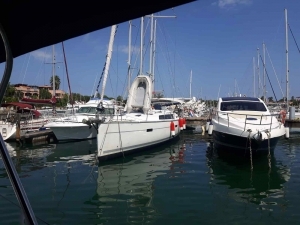 44% discount for a Bavaria 49 from Tenerife (Radazul) on 25th April 2020 to Palma de Mallorca on 16th May 2020. 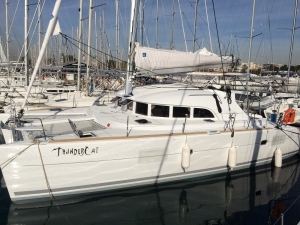 -66% discount for a Beneteau 50 from Tenerife (Radazul) on 25th April 2020 to Palma de Mallorca on 16th May 2020. 10% discount for a Lagoon 42 from Athens on 27th April 2019 to 4th May 2019. 30% discount for a Sun Odyssey 349 from Port Pin Rolland on 27th April 2019 to Ajaccio on 4th May 2019. 25% discount for a Oceanis 48 from Carloforte on 27th April 2019 to 4th May 2019. 25% discount for a Oceanis 45 from Carloforte on 27th April 2019 to 4th May 2019. 20% discount for a Lagoon 450 from Athens on 27th April 2019 to 4th May 2019. 15% discount for a Oceanis 473 from Athens on 27th April 2019 to 4th May 2019. 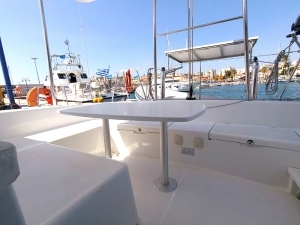 15% discount for a Lagoon 42 from Athens on 27th April 2019 to Lavrion on 4th May 2019. 15% discount for a Oceanis 393 Clipper from Cagliari on 27th April 2019 to Carloforte on 4th May 2019. 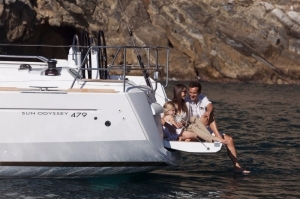 17% discount for a Lagoon 400 S2 from Athens on 27th April 2019 to 4th May 2019. 20% discount for a Lucia 40 from Paros on 27th April 2019 to 4th May 2019. 20% discount for a Lagoon 42 from Paros on 27th April 2019 to 4th May 2019. 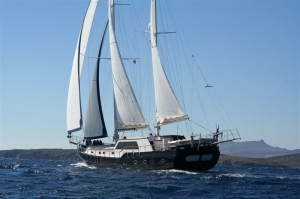 20% discount for a Lucia 40 from Mykonos on 27th April 2019 to 4th May 2019. 20% discount for a Lagoon 42 from Mykonos on 27th April 2019 to 4th May 2019. 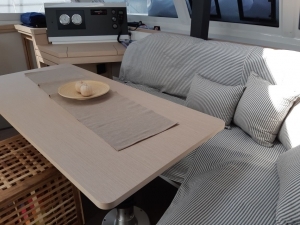 20% discount for a Fountaine Pajot Helia 44 from Athens on 27th April 2019 to 4th May 2019. 20% discount for a Hanse 400E from Kos on 27th April 2019 to 4th May 2019. 41% discount for a Fountaine Pajot Helia 44 from Athens on 27th April 2019 to 4th May 2019. 40% discount for a Minuetto8+ from Precenicco on 27th April 2019 to Casale sul Sile on 1st May 2019. 10% discount for a Gulet from Bodrum on 27th April 2019 to 4th May 2019. 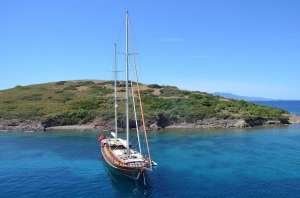 5% discount for a Gulet from Bodrum on 27th April 2019 to 4th May 2019. 40% discount for a Salina 48 Evolution with watermaker from Grenada on 3rd May 2019 to St Lucia on 11th May 2019. 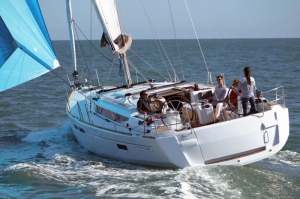 40% discount for a Bavaria 46 Cruiser from Portorosa on 4th May 2019 to 11th May 2019. 40% discount for a Bavaria 51 Cruiser from Portorosa on 4th May 2019 to 11th May 2019. 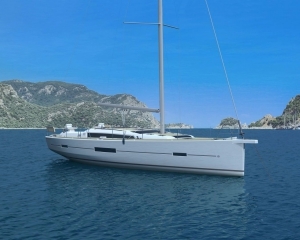 40% discount for a Dufour 445 Grand Large from Portorosa on 4th May 2019 to 11th May 2019. 20% discount for a Bavaria 50 Cruiser from Rhodes on 4th May 2019 to Kos on 11th May 2019. 17% discount for a Bavaria 46 Cruiser from Rhodes on 4th May 2019 to Kos on 11th May 2019. 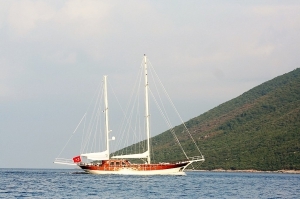 5% discount for a Gulet from Bodrum on 4th May 2019 to 11th May 2019. 33% discount for a Predator 590 from Portorosa on 4th May 2019 to 11th May 2019. 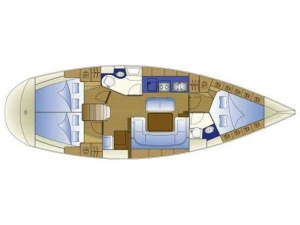 17% discount for a Oceanis 34.3 from Athens on 4th May 2019 to Preveza on 11th May 2019. 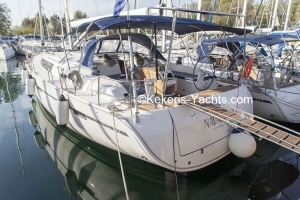 12% discount for a Oceanis 34.3 from Athens on 4th May 2019 to Preveza on 11th May 2019. 25% discount for a Lagoon 380 from Athens on 4th May 2019 to 11th May 2019. 29% discount for a Sun Odyssey 519 from Athens on 4th May 2019 to 11th May 2019. 10% discount for a Lagoon 42 from Athens on 4th May 2019 to 11th May 2019. 20% discount for a Lagoon 380 from Corfu on 4th May 2019 to 11th May 2019. 25% discount for a Oceanis 48 from Carloforte on 4th May 2019 to 11th May 2019. 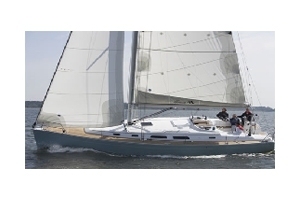 25% discount for a Oceanis 45 from Carloforte on 4th May 2019 to 11th May 2019. 10% discount for a Lagoon 380 from Athens on 4th May 2019 to 11th May 2019. 25% discount for a Sun Odyssey 440 from Athens on 4th May 2019 to Skiathos on 11th May 2019. 20% discount for a Lagoon 450 from Athens on 4th May 2019 to 11th May 2019. 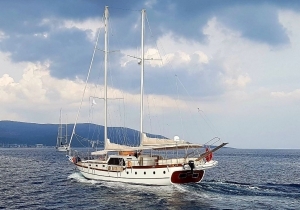 23% discount for a Lagoon 420 from Athens on 4th May 2019 to 11th May 2019. 18% discount for a Bavaria 50 from Athens on 4th May 2019 to 11th May 2019. 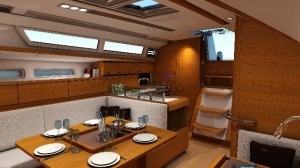 15% discount for a Oceanis 40 from Athens on 4th May 2019 to 11th May 2019. 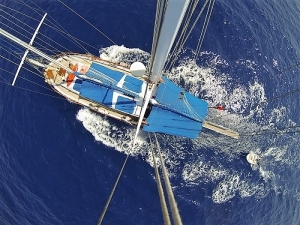 17% discount for a Cyclades 50.5 from Athens on 4th May 2019 to 11th May 2019. 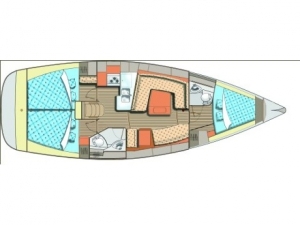 11% discount for a Oceanis 34.3 from Athens on 4th May 2019 to Preveza on 11th May 2019. 12% discount for a Bavaria 46 Cruiser from Rhodes on 4th May 2019 to Kos on 11th May 2019. 13% discount for a Bavaria 50 Cruiser from Rhodes on 4th May 2019 to Kos on 11th May 2019. 60% discount for a Voyage 440 from Cienfuegos on 4th May 2019 to Palma de Mallorca on 22nd June 2019. 19% discount for a Sun Odyssey 519 from Athens on 4th May 2019 to Lefkas on 11th May 2019. 30% discount for a Lagoon 450F from Kos on 4th May 2019 to 11th May 2019. 13% discount for a Bavaria 46 Cruiser from Rhodes on 4th May 2019 to Kos on 11th May 2019. 15% discount for a Bavaria 50 Cruiser from Rhodes on 4th May 2019 to Kos on 11th May 2019. 17% discount for a Lagoon 42 from Athens on 4th May 2019 to 11th May 2019. 17% discount for a Lagoon 400 S2 from Athens on 4th May 2019 to 11th May 2019. 15% discount for a Lagoon 380 from Athens on 4th May 2019 to 11th May 2019. 20% discount for a Lagoon 380 from Athens on 4th May 2019 to 11th May 2019. 20% discount for a Lagoon 42 from Paros on 4th May 2019 to 11th May 2019. 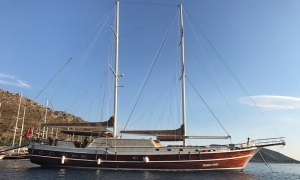 20% discount for a Lucia 40 from Mykonos on 4th May 2019 to 11th May 2019. 13% discount for a Lagoon 50 from Athens on 4th May 2019 to 11th May 2019. 20% discount for a Lagoon 42 from Mykonos on 4th May 2019 to 11th May 2019. 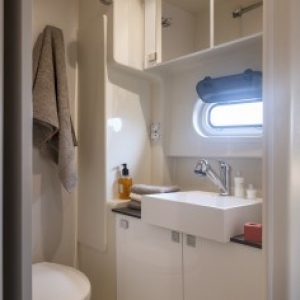 20% discount for a Fountaine Pajot Helia 44 from Athens on 4th May 2019 to 11th May 2019. 5% discount for a motoryacht from Bodrum on 4th May 2019 to 11th May 2019. 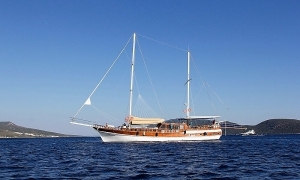 10% discount for a Gulet from Bodrum on 4th May 2019 to 11th May 2019. 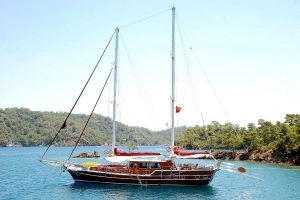 10% discount for a Gulet from Marmaris on 4th May 2019 to 11th May 2019. 20% discount for a Sun Odyssey 439 from Athens on 4th May 2019 to 11th May 2019. 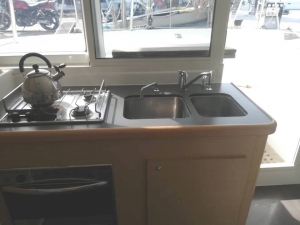 43% discount for a Fountaine Pajot Helia 44 from Athens on 4th May 2019 to 11th May 2019. 40% discount for a Bavaria 50 Cruiser from Rhodes on 4th May 2019 to Kos on 11th May 2019. 32% discount for a Bavaria 46 Cruiser from Rhodes on 4th May 2019 to Kos on 11th May 2019. 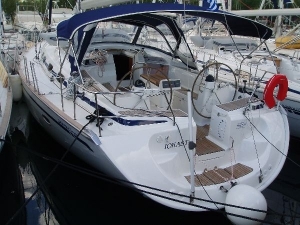 30% discount for a Oceanis 34.3 from Athens on 4th May 2019 to Preveza on 11th May 2019. 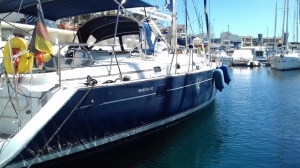 28% discount for a Bavaria 43 Cruiser from Athens on 4th May 2019 to Lavrion on 11th May 2019. 20% discount for a Oceanis 393 Clipper from Carloforte on 4th May 2019 to 11th May 2019. 30% discount for a Dufour 500 GL with A/C from Pointe-u00e0-Pu00eetre on 8th May 2019 to St Martin on 18th May 2019. 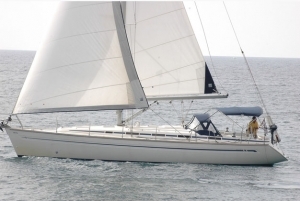 30% discount for a Dufour 460 GL Liberty from Pointe-u00e0-Pu00eetre on 10th May 2019 to St Lucia on 18th May 2019. 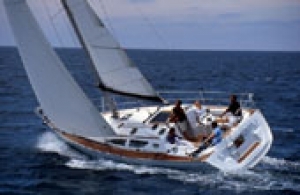 40% discount for a Bavaria 46 Cruiser from Portorosa on 11th May 2019 to 18th May 2019. 40% discount for a Bavaria 51 Cruiser from Portorosa on 11th May 2019 to 18th May 2019. 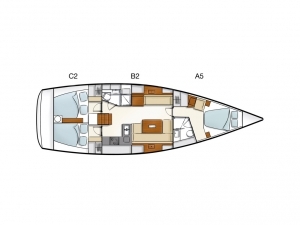 40% discount for a Bavaria NEW C45 by Cossutti from Portorosa on 11th May 2019 to 18th May 2019. 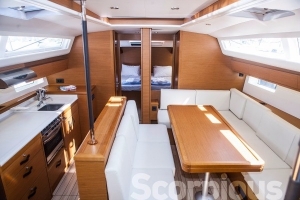 40% discount for a Dufour 445 Grand Large from Portorosa on 11th May 2019 to 18th May 2019. 33% discount for a Predator 590 from Portorosa on 11th May 2019 to 18th May 2019. 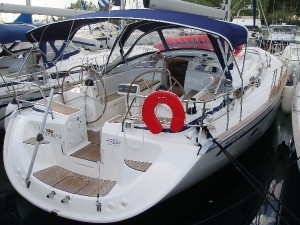 23% discount for a Bavaria 46 Cruiser from Athens on 11th May 2019 to Preveza on 18th May 2019. 15% discount for a Bavaria 40 Cruiser from Athens on 11th May 2019 to Preveza on 18th May 2019. 15% discount for a Bavaria Cruiser 40 from Kos on 11th May 2019 to Rhodes on 18th May 2019. 5% discount for a Motor Yacht from Bodrum on 11th May 2019 to 18th May 2019. 16% discount for a Bavaria 46 Cruiser from Athens on 11th May 2019 to Preveza on 18th May 2019. 7% discount for a Bavaria Cruiser 40 from Kos on 11th May 2019 to Rhodes on 18th May 2019. 25% discount for a Lagoon 380 from Athens on 11th May 2019 to 18th May 2019. 29% discount for a Sun Odyssey 519 from Athens on 11th May 2019 to 18th May 2019. 10% discount for a Lagoon 42 from Athens on 11th May 2019 to 18th May 2019. 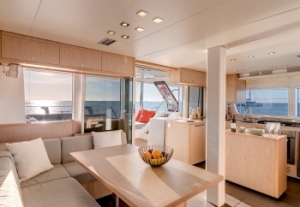 10% discount for a Oceanis 55 from Athens on 11th May 2019 to 18th May 2019. 20% discount for a Lagoon 380 from Corfu on 11th May 2019 to 18th May 2019. 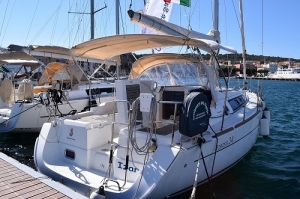 20% discount for a Lagoon 42 from Corfu on 11th May 2019 to 18th May 2019. 25% discount for a Sun Odyssey 479 from Athens on 11th May 2019 to Lefkas on 18th May 2019. 10% discount for a Lagoon 380 from Athens on 11th May 2019 to 18th May 2019. 15% discount for a Sun Odyssey 509 from Athens on 11th May 2019 to 18th May 2019. 12% discount for a Cyclades 50.5 from Athens on 11th May 2019 to 18th May 2019. 18% discount for a Bavaria 50 from Athens on 11th May 2019 to 18th May 2019. 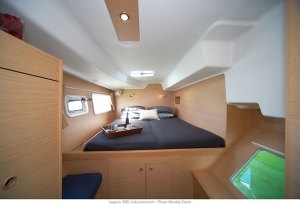 12% discount for a Oceanis 48 from Athens on 11th May 2019 to 18th May 2019. 8% discount for a Bavaria Cruiser 40 from Kos on 11th May 2019 to Rhodes on 18th May 2019. 11% discount for a Bavaria 40 Cruiser from Athens on 11th May 2019 to Preveza on 18th May 2019. 15% discount for a Bavaria 46 Cruiser from Athens on 11th May 2019 to Preveza on 18th May 2019. 2% discount for a Bavaria Cruiser 46 from Athens on 11th May 2019 to Kos on 18th May 2019. 21% discount for a Sun Odyssey 449 from Athens on 11th May 2019 to Corfu on 18th May 2019. 30% discount for a Lagoon 450 from Kos on 11th May 2019 to 18th May 2019. 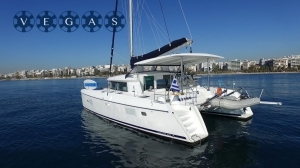 17% discount for a Lagoon 42 from Athens on 11th May 2019 to 18th May 2019. 17% discount for a Lagoon 400 S2 from Athens on 11th May 2019 to 18th May 2019. 15% discount for a Lagoon 380 from Athens on 11th May 2019 to 18th May 2019. 20% discount for a Lagoon 380 from Athens on 11th May 2019 to 18th May 2019. 20% discount for a Lagoon 42 from Paros on 11th May 2019 to 18th May 2019. 13% discount for a Lagoon 50 from Athens on 11th May 2019 to 18th May 2019. 10% discount for a Bavaria Cruiser 46 from Athens on 11th May 2019 to Kos on 18th May 2019. 20% discount for a Lagoon 42 from Mykonos on 11th May 2019 to 18th May 2019. 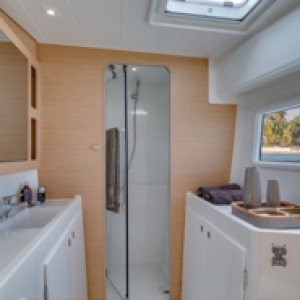 20% discount for a Fountaine Pajot Helia 44 from Athens on 11th May 2019 to 18th May 2019. 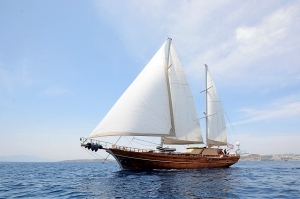 10% discount for a Gulet from Bodrum on 11th May 2019 to 18th May 2019. 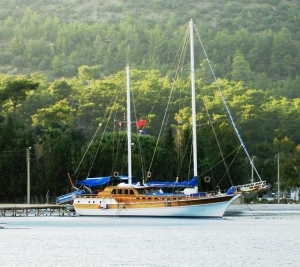 10% discount for a Gulet from Marmaris on 11th May 2019 to 18th May 2019. 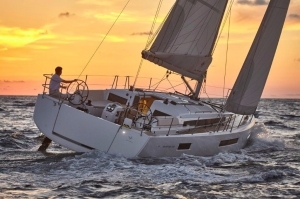 5% discount for a Jeanneau 53 from Bodrum on 11th May 2019 to 18th May 2019. 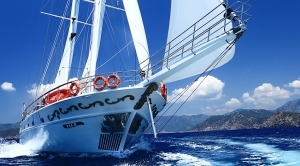 5% discount for a gulet - yacht from Bodrum on 11th May 2019 to 18th May 2019. 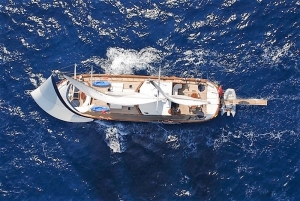 22% discount for a Oceanis 40 from Athens on 11th May 2019 to 18th May 2019. 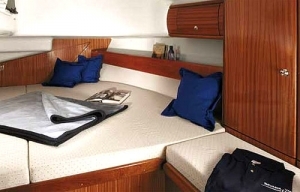 22% discount for a Oceanis 473 from Athens on 11th May 2019 to 18th May 2019. 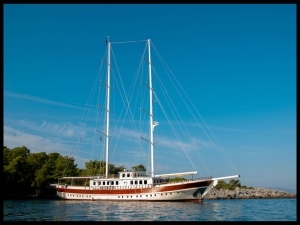 28% discount for a Lagoon 420 from Athens on 11th May 2019 to 18th May 2019. 20% discount for a Lagoon 450 from Athens on 11th May 2019 to 18th May 2019. 20% discount for a Sun Odyssey 439 from Athens on 11th May 2019 to 18th May 2019. 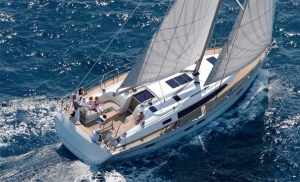 30% discount for a Bavaria 46 Cruiser from Athens on 11th May 2019 to Preveza on 18th May 2019. 20% discount for a Bavaria Cruiser 40 from Kos on 11th May 2019 to Rhodes on 18th May 2019. 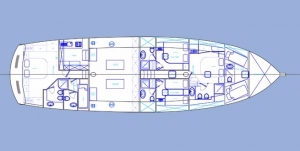 30% discount for a Bavaria Cruiser 51 from Athens on 11th May 2019 to Lavrion on 18th May 2019. 35% discount for a Lagoon 42 from Athens on 11th May 2019 to Corfu on 25th May 2019. 24% discount for a Bavaria Cruiser 46 from Athens on 11th May 2019 to Kos on 18th May 2019. 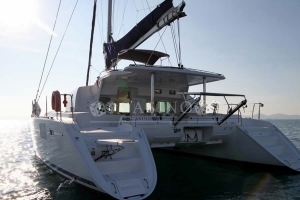 40% discount for a Lagoon 42 from Athens on 11th May 2019 to 18th May 2019. 20% discount for a Oceanis 393 Clipper from Carloforte on 11th May 2019 to 18th May 2019. 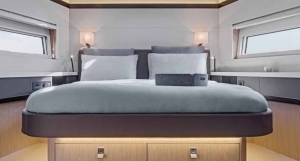 25% discount for a Oceanis 55 from Athens on 11th May 2019 to 18th May 2019. 25% discount for a Oceanis 34 from Cagliari on 12th May 2019 to Carloforte on 19th May 2019. 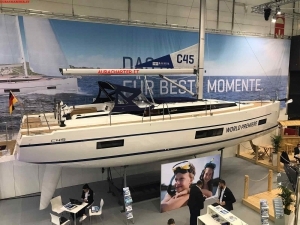 40% discount for a Bavaria NEW C45 by Cossutti from Portorosa on 18th May 2019 to 25th May 2019. 40% discount for a Bavaria 51 Cruiser from Portorosa on 18th May 2019 to 25th May 2019. 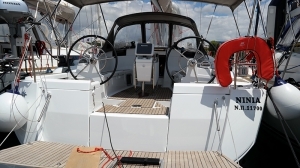 40% discount for a Bavaria 46 Cruiser from Portorosa on 18th May 2019 to 25th May 2019. 5% discount for a Gulet from Bodrum on 18th May 2019 to 25th May 2019. 5% discount for a Lagoon 421 from Bodrum on 18th May 2019 to 25th May 2019. 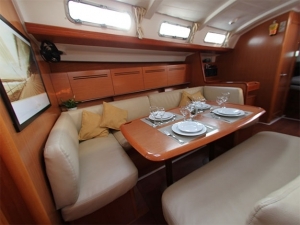 40% discount for a Dufour 445 Grand Large from Portorosa on 18th May 2019 to 25th May 2019. 5% discount for a motoryacht from Bodrum on 18th May 2019 to 25th May 2019. 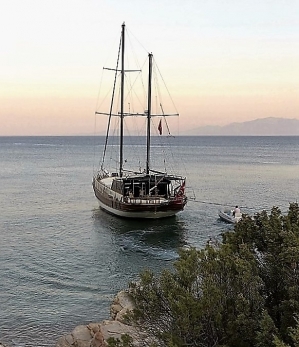 5% discount for a Gulet from Gu00f6cek on 18th May 2019 to 25th May 2019. 22% discount for a Lagoon 380 from Athens on 18th May 2019 to 25th May 2019. 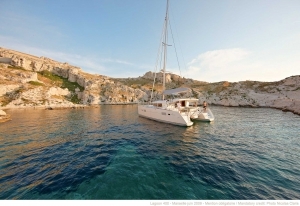 10% discount for a Lagoon 42 from Milos on 18th May 2019 to Athens on 25th May 2019. 10% discount for a Oceanis 55 from Athens on 18th May 2019 to 25th May 2019. 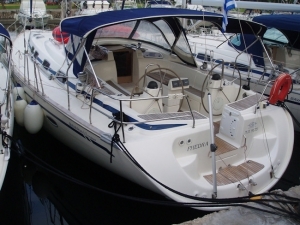 20% discount for a Lagoon 42 from Corfu on 18th May 2019 to 25th May 2019. 10% discount for a Lagoon 42 from Lefkas on 18th May 2019 to 25th May 2019. 30% discount for a Bali 4.1 O.V. from Marseille (Vieux port) on 18th May 2019 to Ajaccio on 25th May 2019. 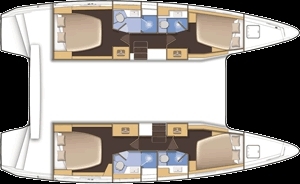 30% discount for a Dufour 380 GL from Port Pin Rolland on 18th May 2019 to Ajaccio on 25th May 2019. 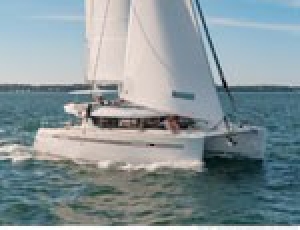 20% discount for a Catana 47 CI with watermaker from St Martin on 18th May 2019 to Tortola on 26th May 2019. 25% discount for a Lagoon 42 from Athens on 18th May 2019 to Lefkas on 25th May 2019. 30% discount for a Lagoon 450 from Kos on 18th May 2019 to 25th May 2019. 20% discount for a Sun Odyssey 449 from Athens on 18th May 2019 to Lavrion on 25th May 2019. 17% discount for a Lagoon 42 from Athens on 18th May 2019 to 25th May 2019. 5% discount for a motoryacht from Gu00f6cek on 18th May 2019 to 25th May 2019. 20% discount for a Lagoon 380 from Athens on 18th May 2019 to 25th May 2019. 25% discount for a Sun Odyssey 449 from Athens on 18th May 2019 to Lavrion on 25th May 2019. 13% discount for a Lagoon 50 from Athens on 18th May 2019 to 25th May 2019. 20% discount for a Lagoon 42 from Mykonos on 18th May 2019 to 25th May 2019. 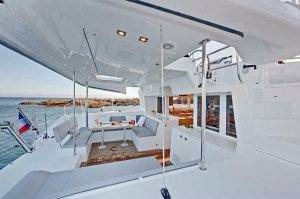 20% discount for a Fountaine Pajot Helia 44 from Athens on 18th May 2019 to 25th May 2019. 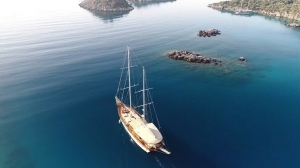 5% discount for a Gulet - Yacht from Bodrum on 18th May 2019 to 25th May 2019. 29% discount for a Sun Odyssey 519 from Athens on 18th May 2019 to 25th May 2019. 24% discount for a Bavaria 49 from Athens on 18th May 2019 to 25th May 2019. 25% discount for a Lagoon 420 from Athens on 18th May 2019 to 25th May 2019. 22% discount for a Bavaria 50 from Athens on 18th May 2019 to 25th May 2019. 15% discount for a Lagoon 450 from Athens on 18th May 2019 to 25th May 2019. 22% discount for a Lagoon 450 from Athens on 18th May 2019 to 25th May 2019. 20% discount for a Lagoon 450 from Athens on 18th May 2019 to 25th May 2019. 25% discount for a Lagoon 500 from Athens on 18th May 2019 to 25th May 2019. 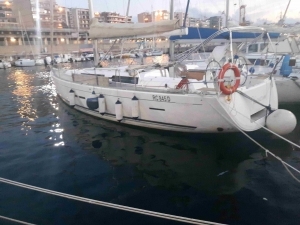 20% discount for a Oceanis 41 from Marseille (Vieux port) on 18th May 2019 to Ajaccio on 25th May 2019. 25% discount for a Oceanis 48 from Carloforte on 18th May 2019 to Cagliari on 25th May 2019. 10% discount for a Minuetto8+ from Casale sul Sile on 18th May 2019 to Precenicco on 25th May 2019. 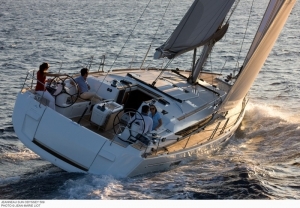 30% discount for a Bavaria 46 Cruiser from Athens on 18th May 2019 to Preveza on 25th May 2019. 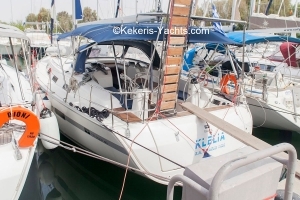 20% discount for a Elan 384 Impression from Kos on 18th May 2019 to Rhodes on 25th May 2019. 40% discount for a Lagoon 42 from Athens on 18th May 2019 to 25th May 2019. 20% discount for a Oceanis 393 Clipper from Carloforte on 18th May 2019 to 25th May 2019. 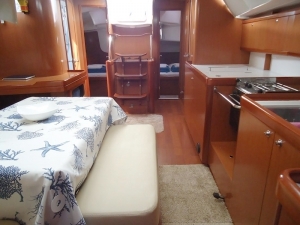 40% discount for a Astrea 42 with watermaker & A/C - PLUS from Antigua on 19th May 2019 to Tortola on 25th May 2019. 30% discount for a Saba 50 with watermaker & A/C - PLUS from St Lucia on 22nd May 2019 to Le Marin on 30th May 2019. 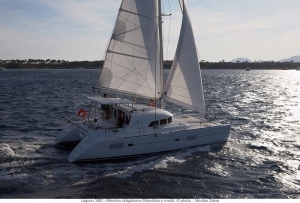 26% discount for a Lagoon 450 F from Athens on 25th May 2019 to 1st June 2019. 15% discount for a Oceanis 393 Clipper from Carloforte on 25th May 2019 to 1st June 2019. 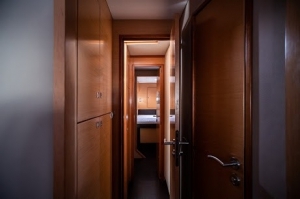 10% discount for a Oceanis 34 from Carloforte on 25th May 2019 to 1st June 2019. 7% discount for a Bavaria Cruiser 40 from Rhodes on 25th May 2019 to Kos on 1st June 2019. 10% discount for a Lagoon 380 from Athens on 25th May 2019 to 1st June 2019. 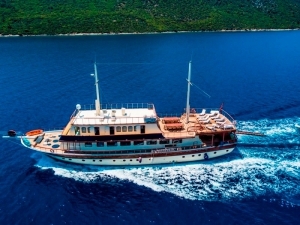 11% discount for a Lagoon 42 from Lefkas on 25th May 2019 to 1st June 2019. 8% discount for a Bavaria Cruiser 40 from Rhodes on 25th May 2019 to Kos on 1st June 2019. 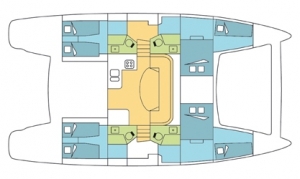 30% discount for a Helia 44 with watermaker from St Lucia on 25th May 2019 to Tortola on 8th June 2019. 11% discount for a Bavaria Cruiser 40 from Rhodes on 25th May 2019 to Kos on 1st June 2019. 14% discount for a Lagoon 42 from Athens on 25th May 2019 to 1st June 2019. 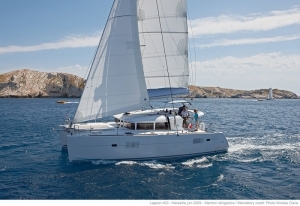 17% discount for a Lagoon 400 S2 from Athens on 25th May 2019 to 1st June 2019. 15% discount for a Lagoon 50 from Athens on 25th May 2019 to 1st June 2019. 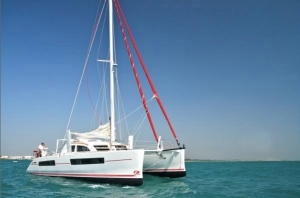 27% discount for a Fountaine Pajot Helia 44 from Athens on 25th May 2019 to 1st June 2019. 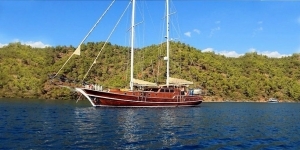 5% discount for a Gulet from Bodrum on 25th May 2019 to 1st June 2019. 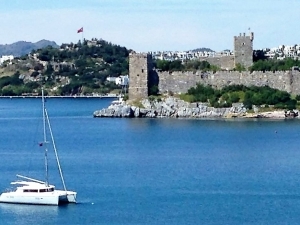 5% discount for a Jeanneau 53 from Bodrum on 25th May 2019 to 1st June 2019. 12% discount for a Cruiser 41 from Lavrion on 25th May 2019 to Preveza on 1st June 2019. 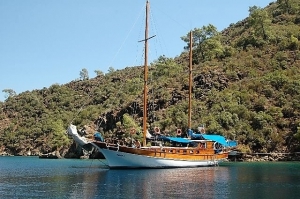 5% discount for a Gulet from Gu00f6cek on 25th May 2019 to 1st June 2019. 30% discount for a Oceanis 54 from Athens on 25th May 2019 to 1st June 2019. 26% discount for a Cyclades 50.5 from Athens on 25th May 2019 to 1st June 2019. 20% discount for a Cyclades 50.5 from Athens on 25th May 2019 to 1st June 2019. 30% discount for a Lagoon 420 from Athens on 25th May 2019 to 1st June 2019. 15% discount for a Lagoon 450 from Athens on 25th May 2019 to 1st June 2019. 15% discount for a Lagoon 400 S2 from Athens on 25th May 2019 to 1st June 2019. 25% discount for a Lagoon 450 from Athens on 25th May 2019 to 1st June 2019. 22% discount for a Lagoon 450 from Athens on 25th May 2019 to 1st June 2019. 20% discount for a Sun Odyssey 439 from Athens on 25th May 2019 to 1st June 2019. 22% discount for a Sun Odyssey 509 from Athens on 25th May 2019 to 1st June 2019. 10% discount for a Lagoon 450 F from Paros on 25th May 2019 to 1st June 2019. 15% discount for a Bavaria Cruiser 40 from Rhodes on 25th May 2019 to Kos on 1st June 2019. 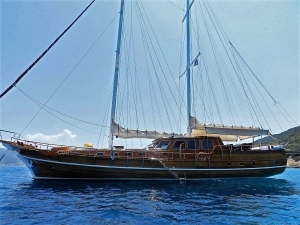 10% discount for a Gulet from Bodrum on 25th May 2019 to 1st June 2019. 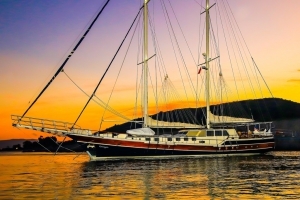 30% discount for a Bali 4.3 with watermaker from St Lucia on 25th May 2019 to Tortola on 8th June 2019. 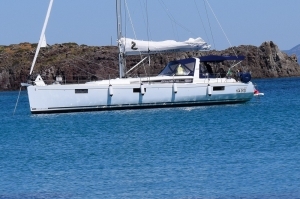 20% discount for a Lagoon 42 with A/C from Grenada on 26th May 2019 to St Vincent on 2nd June 2019. 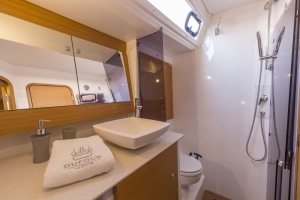 30% discount for a Dufour 520 GL with watermaker & A/C - PLUS from Le Marin on 26th May 2019 to Antigua on 7th June 2019. 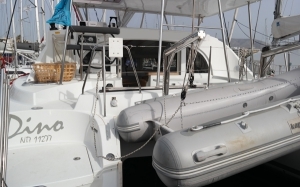 30% discount for a Salina 48 Evolution with watermaker from St Lucia on 29th May 2019 to Tortola on 8th June 2019. 40% discount for a Lagoon 52 F with watermaker & A/C - PLUS from Grenada on 31st May 2019 to St Lucia on 7th June 2019. 10% discount for a Bavaria 39 Cruiser from Lavrion on 1st June 2019 to Athens on 8th June 2019. 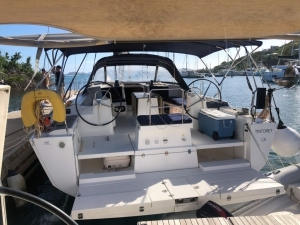 25% discount for a Lagoon 42 from Corfu on 1st June 2019 to 8th June 2019. 15% discount for a Lagoon 42 from Athens on 1st June 2019 to 8th June 2019. 11% discount for a Bavaria 39 Cruiser from Lavrion on 1st June 2019 to Athens on 8th June 2019. 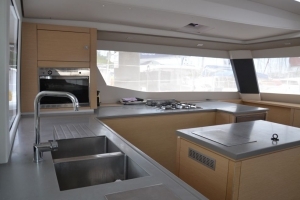 20% discount for a Dufour 460 GL with watermaker from Port Pin Rolland on 1st June 2019 to Ajaccio on 8th June 2019. 40% discount for a Lagoon 450 F with watermaker & A/C - PLUS from St Vincent on 1st June 2019 to St Lucia on 7th June 2019. 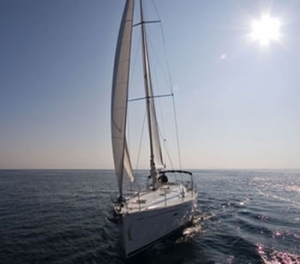 15% discount for a Bavaria Cruiser 40 from Lavrion on 1st June 2019 to Athens on 8th June 2019. 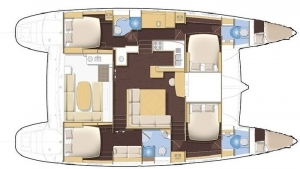 16% discount for a Dufour 520 GL from Athens on 1st June 2019 to 8th June 2019. 25% discount for a Lagoon 450 from Kos on 1st June 2019 to 8th June 2019. 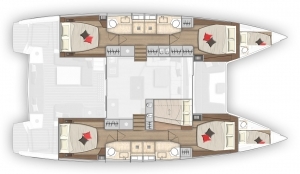 15% discount for a Dufour 520 GL from Athens on 1st June 2019 to 8th June 2019. 20% discount for a Sun Odyssey 449 from Lavrion on 1st June 2019 to 8th June 2019. 14% discount for a Lagoon 42 from Athens on 1st June 2019 to 8th June 2019. 17% discount for a Lagoon 400 S2 from Athens on 1st June 2019 to 8th June 2019. 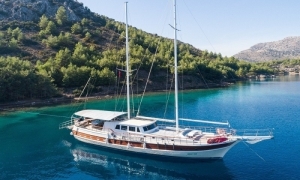 5% discount for a Gulet from Bodrum on 1st June 2019 to 8th June 2019. 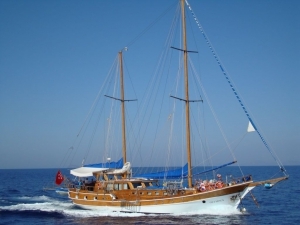 10% discount for a Gulet from Bodrum on 1st June 2019 to 8th June 2019. 8% discount for a Bavaria 39 Cruiser from Lavrion on 1st June 2019 to Athens on 8th June 2019. 20% discount for a Hanse 430e from Kos on 1st June 2019 to 8th June 2019. 15% discount for a Oceanis 393 Clipper from Carloforte on 1st June 2019 to 8th June 2019. 18% discount for a Cyclades 50.5 from Athens on 1st June 2019 to 8th June 2019. 20% discount for a Oceanis 48 from Athens on 1st June 2019 to 8th June 2019. 10% discount for a Lucia 40 from Paros on 1st June 2019 to 8th June 2019. 20% discount for a Lagoon 450 from Athens on 1st June 2019 to 8th June 2019. 20% discount for a Oceanis 48 from Carloforte on 1st June 2019 to Cagliari on 15th June 2019. 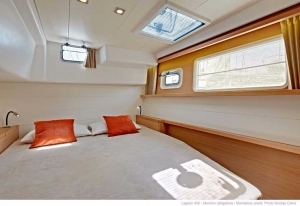 15% discount for a Oceanis 45 from Cagliari on 1st June 2019 to 15th June 2019. 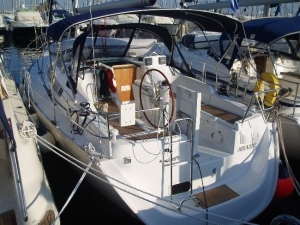 17% discount for a Jeanneau 509 from Athens on 1st June 2019 to 8th June 2019. 17% discount for a Sun Odyssey 509 from Athens on 1st June 2019 to 8th June 2019. 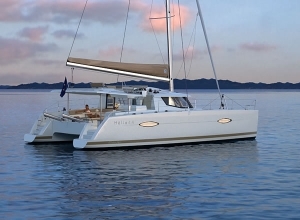 24% discount for a Fountaine Pajot Helia 44 from Athens on 1st June 2019 to 8th June 2019. Oh what a RARE FIND! Make the most of a €31,000 discount on the 55m Proteksan superyacht for all charters this June around the Greek Islands. 15% discount for a Minuetto8+ from Casale sul Sile on 7th June 2019 to Precenicco on 12th June 2019. 20% discount for a Bavaria 50 Cruiser from Athens on 8th June 2019 to Preveza on 15th June 2019. 15% discount for a Oceanis 34 from Carloforte on 8th June 2019 to 15th June 2019. 26% discount for a Lagoon 380 from Athens on 8th June 2019 to 15th June 2019. 25% discount for a Sun Odyssey 519 from Athens on 8th June 2019 to 15th June 2019. 23% discount for a Lagoon 42 from Athens on 8th June 2019 to 15th June 2019. 25% discount for a Lagoon 42 from Lefkas on 8th June 2019 to 15th June 2019. 16% discount for a Bavaria 50 Cruiser from Athens on 8th June 2019 to Preveza on 15th June 2019. 13% discount for a Bavaria 50 Cruiser from Rhodes on 8th June 2019 to Kos on 15th June 2019. 40% discount for a Bavaria Cruiser 46 from Corfu on 8th June 2019 to Preveza on 15th June 2019. 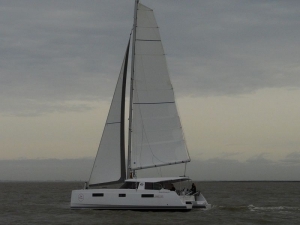 30% discount for a Catana 55 CI with watermaker & A/C - PLUS from Le Marin on 8th June 2019 to St Martin on 19th June 2019. 15% discount for a Bavaria 50 Cruiser from Rhodes on 8th June 2019 to Kos on 15th June 2019. 14% discount for a Lagoon 42 from Athens on 8th June 2019 to 15th June 2019. 17% discount for a Lagoon 400 S2 from Athens on 8th June 2019 to 15th June 2019. 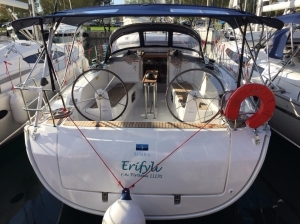 20% discount for a Dufour 382 GL from Port Pin Rolland on 8th June 2019 to Ajaccio on 15th June 2019. 20% discount for a Lagoon 380 from Lavrion on 8th June 2019 to Athens on 15th June 2019. 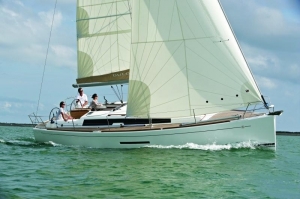 20% discount for a Dufour 520 GL from Athens on 8th June 2019 to 15th June 2019. 5% discount for a Gulet from Bodrum on 8th June 2019 to 15th June 2019. 12% discount for a Bavaria 50 Cruiser from Rhodes on 8th June 2019 to Kos on 15th June 2019. 20% discount for a Hanse 430e from Kos on 8th June 2019 to 15th June 2019. 23% discount for a Oceanis 54 from Athens on 8th June 2019 to 15th June 2019. 25% discount for a Bavaria 44 from Athens on 8th June 2019 to 15th June 2019. 20% discount for a Lagoon 450 from Athens on 8th June 2019 to 15th June 2019. 15% discount for a Lagoon 500 from Athens on 8th June 2019 to 15th June 2019. 12% discount for a Lagoon 500 from Athens on 8th June 2019 to 15th June 2019. 15% discount for a Sun Odyssey 439 from Athens on 8th June 2019 to 15th June 2019. 22% discount for a Fountaine Pajot Helia 44 from Athens on 8th June 2019 to 15th June 2019. 26% discount for a Lagoon 380 S2 from Athens on 8th June 2019 to Corfu on 15th June 2019. 25% discount for a Lagoon 400 S2 from Athens on 8th June 2019 to Corfu on 15th June 2019. 11% discount for a Bavaria Cruiser 51 from Athens on 8th June 2019 to Corfu on 15th June 2019. 20% discount for a Sun Odyssey 469 from Port Pin Rolland on 8th June 2019 to Ajaccio on 15th June 2019. 15% discount for a Oceanis 393 Clipper from Carloforte on 8th June 2019 to 15th June 2019. 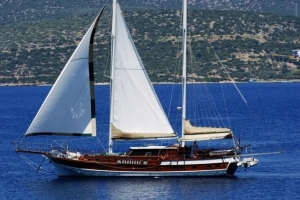 10% discount for a Gulet from Bodrum on 8th June 2019 to 15th June 2019. 30% discount for a Lagoon 450 with watermaker from Le Marin on 9th June 2019 to Tortola on 22nd June 2019. 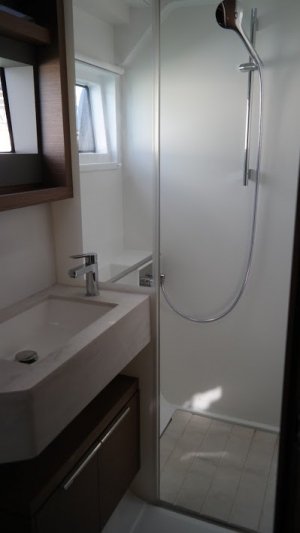 20% discount for a Bali 4.3 with watermaker from Pointe-u00e0-Pu00eetre on 13th June 2019 to Le Marin on 22nd June 2019. 15% discount for a Oceanis 393 Clipper from Carloforte on 15th June 2019 to 22nd June 2019. 5% discount for a Oceanis 62 Skippered with A/C from Rhodes on 15th June 2019 to Mykonos on 22nd June 2019. 25% discount for a Lagoon 42 from Lefkas on 15th June 2019 to 22nd June 2019. 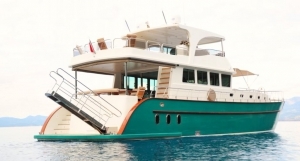 20% discount for a Bali 4.5 with watermaker from St Martin on 15th June 2019 to Tortola on 23rd June 2019. 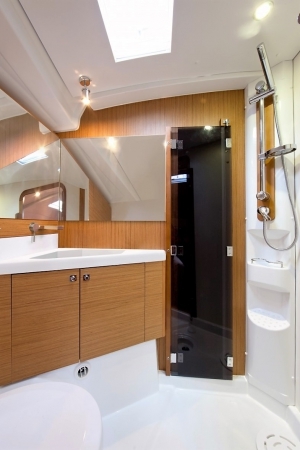 40% discount for a Lagoon 450 with watermaker from Le Marin on 15th June 2019 to Tortola on 22nd June 2019. 15% discount for a Lagoon 50 from Paros on 15th June 2019 to Athens on 22nd June 2019. 15% discount for a Lagoon 500 from Athens on 15th June 2019 to Mykonos on 22nd June 2019. 17% discount for a Lagoon 400 S2 from Athens on 15th June 2019 to 22nd June 2019. 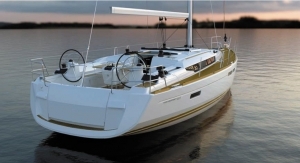 20% discount for a Dufour 520 GL from Athens on 15th June 2019 to 22nd June 2019. 5% discount for a Gulet from Bodrum on 15th June 2019 to 22nd June 2019. 20% discount for a Hanse 400E from Kos on 15th June 2019 to 22nd June 2019. 20% discount for a Hanse 430e from Kos on 15th June 2019 to 22nd June 2019. 20% discount for a Oceanis 54 from Athens on 15th June 2019 to 22nd June 2019. 15% discount for a Bavaria 49 from Athens on 15th June 2019 to 22nd June 2019. 15% discount for a Oceanis 40 from Athens on 15th June 2019 to 22nd June 2019. 15% discount for a Oceanis 37 from Athens on 15th June 2019 to 22nd June 2019. 15% discount for a Lagoon 450 from Athens on 15th June 2019 to 22nd June 2019. 15% discount for a Lagoon 440 from Athens on 15th June 2019 to 22nd June 2019. 20% discount for a Lagoon 500 from Athens on 15th June 2019 to 22nd June 2019. 18% discount for a Fountaine Pajot Helia 44 from Athens on 15th June 2019 to 22nd June 2019. 10% discount for a Minuetto6+ from Casale sul Sile on 15th June 2019 to Precenicco on 22nd June 2019. 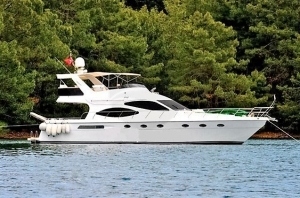 5% discount for a motoryacht from Bodrum on 15th June 2019 to 22nd June 2019. 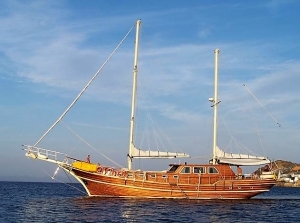 10% discount for a Gulet from Bodrum on 15th June 2019 to 22nd June 2019. 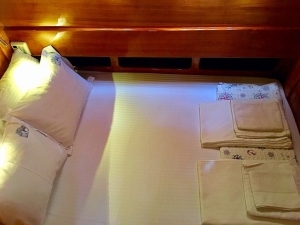 15% discount on charters in May and June 2019 on this huge crewed catamaran in Phuket. Minimum 6 guests and minimum 7 days. 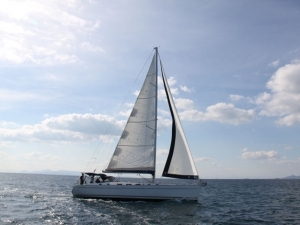 18% discount for a Oceanis 55 from Kos on 22nd June 2019 to Athens on 6th July 2019. 12% discount for a Bavaria 43 Cruiser from Athens on 22nd June 2019 to Lavrion on 29th June 2019. 23% discount for a Lagoon 380 from Athens on 22nd June 2019 to 29th June 2019. 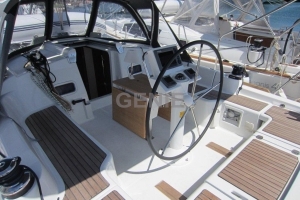 13% discount for a Dufour 520 GL from Athens on 22nd June 2019 to 29th June 2019. 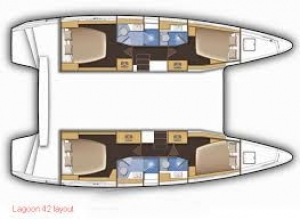 25% discount for a Dufour 380 GL from Ajaccio on 22nd June 2019 to Port Pin Rolland on 29th June 2019. 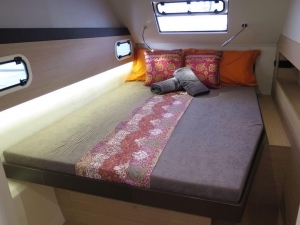 14% discount for a Oceanis 51.1 from Athens on 22nd June 2019 to 29th June 2019. 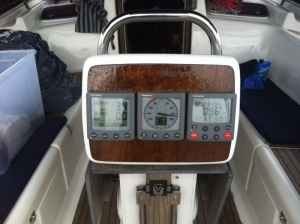 20% discount for a Astrea 42 with watermaker from Grenada on 22nd June 2019 to St Vincent on 30th June 2019. 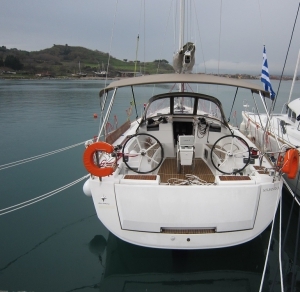 15% discount for a Bavaria Cruiser 40 from Athens on 22nd June 2019 to Lavrion on 29th June 2019. 10% discount for a Lagoon 380 from Athens on 22nd June 2019 to 29th June 2019. 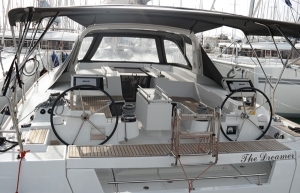 20% discount for a Dufour 520 GL with watermaker & A/C - PLUS from Ajaccio on 22nd June 2019 to Port Pin Rolland on 29th June 2019. 14% discount for a Lagoon 400 S2 from Athens on 22nd June 2019 to 29th June 2019. 20% discount for a Hanse 400E from Kos on 22nd June 2019 to 29th June 2019. 20% discount for a Hanse 430e from Kos on 22nd June 2019 to 29th June 2019. 15% discount for a Oceanis 393 Clipper from Carloforte on 22nd June 2019 to 29th June 2019. 10% discount for a Oceanis 35.1 from Carloforte on 22nd June 2019 to 29th June 2019. 18% discount for a Oceanis 54 from Athens on 22nd June 2019 to 29th June 2019. 15% discount for a Oceanis 48 from Athens on 22nd June 2019 to 29th June 2019. 15% discount for a Lagoon 450 from Athens on 22nd June 2019 to 29th June 2019. 5% discount for a Gulet from Bodrum on 22nd June 2019 to 29th June 2019. 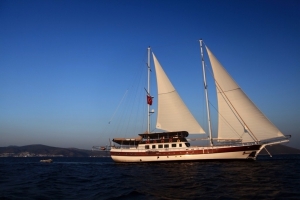 10% discount for a Gulet from Bodrum on 22nd June 2019 to 29th June 2019. 10% discount for a Minuetto6+ from Casale sul Sile on 24th June 2019 to Precenicco on 1st July 2019. 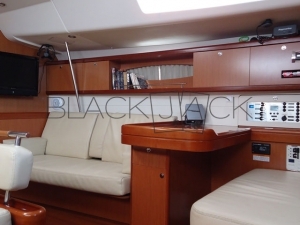 30% discount for a Dufour 520 GL with watermaker & A/C - PLUS from St Martin on 25th June 2019 to Pointe-u00e0-Pu00eetre on 6th July 2019. 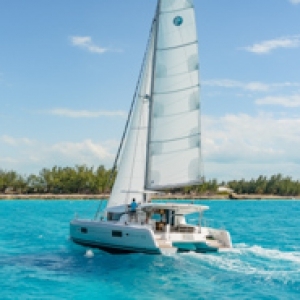 30% discount for a Bali 4.3 with watermaker from St Martin on 28th June 2019 to Antigua on 5th July 2019. 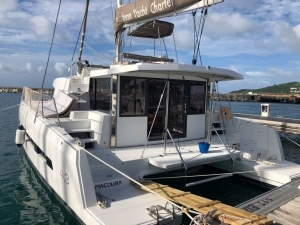 30% discount for a Nautitech 40 Open from St Martin on 28th June 2019 to Antigua on 5th July 2019. 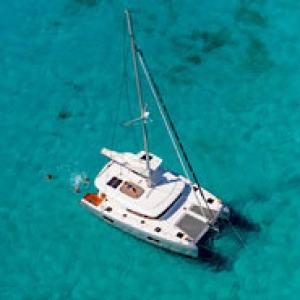 30% discount for a Lagoon 40 with watermaker from Pointe-u00e0-Pu00eetre on 28th June 2019 to Antigua on 5th July 2019. 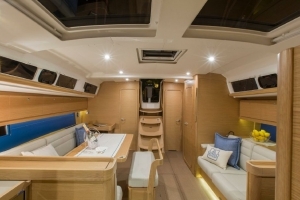 12% discount for a Oceanis 48 from Carloforte on 29th June 2019 to Cagliari on 6th July 2019. 40% discount for a Bavaria 51 Cruiser from Portorosa on 29th June 2019 to 6th July 2019. 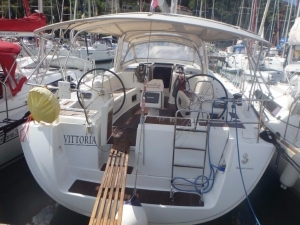 40% discount for a Bavaria 46 Cruiser from Portorosa on 29th June 2019 to 6th July 2019. 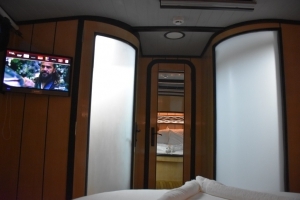 30% discount for a Bali 4.5 with watermaker & A/C - PLUS from Le Marin on 29th June 2019 to Pointe-u00e0-Pu00eetre on 6th July 2019. 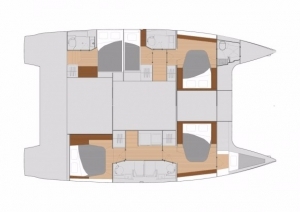 31% discount for a Bavaria NEW C45 by Cossutti from Portorosa on 29th June 2019 to 6th July 2019. 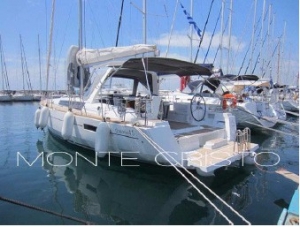 40% discount for a Dufour 445 Grand Large from Portorosa on 29th June 2019 to 6th July 2019. 14% discount for a Oceanis 51.1 from Athens on 29th June 2019 to 6th July 2019. 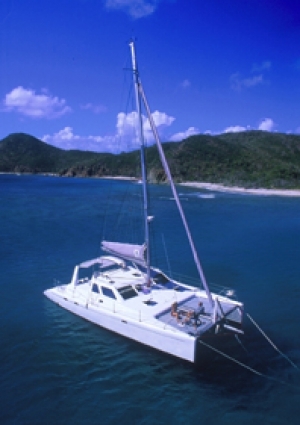 40% discount for a Lagoon 52 with watermaker & A/C - PLUS from Tortola on 29th June 2019 to St Martin on 4th July 2019. 20% discount for a Lagoon 450 F from Athens on 29th June 2019 to Kos on 6th July 2019. 15% discount for a Oceanis 45 from Carloforte on 29th June 2019 to 13th July 2019. 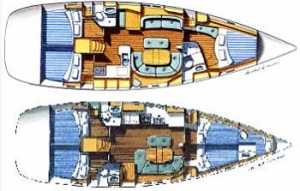 10% discount for a Oceanis 35.1 from Cagliari on 29th June 2019 to Carloforte on 6th July 2019. 36% discount for a Sun Odyssey 469 from Athens on 29th June 2019 to Corfu on 6th July 2019. 10% discount for a Oceanis 393 Clipper from Carloforte on 29th June 2019 to 6th July 2019. 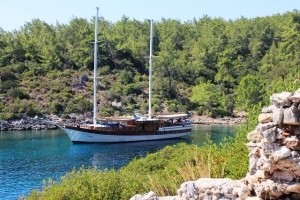 5% discount for a Gulet from Bodrum on 29th June 2019 to 6th July 2019. 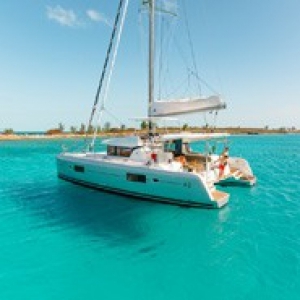 40% discount for a Lagoon 450 with watermaker from St Martin on 29th June 2019 to Antigua on 5th July 2019. 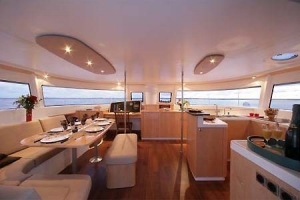 30% discount for a Dufour 520 GL with A/C from Tortola on 29th June 2019 to St Martin on 6th July 2019. 25% discount for a Lagoon 500 from Mykonos on 30th June 2019 to Skiathos on 3rd July 2019. 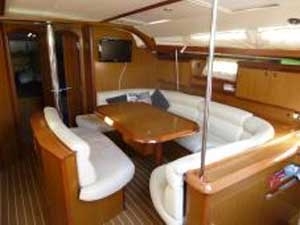 15% discount for a Hanse 458 from Athens on 6th July 2019 to Corfu on 13th July 2019. 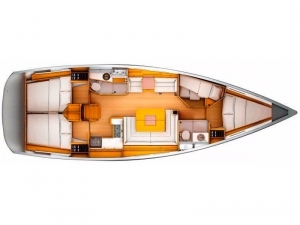 13% discount for a Dufour 520 GL from Athens on 6th July 2019 to 13th July 2019. 10% discount for a Lagoon 42 from Athens on 6th July 2019 to 13th July 2019. 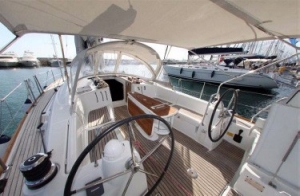 25% discount for a Oceanis 48 from Cagliari on 6th July 2019 to Olbia on 13th July 2019. 10% discount for a Lagoon 380 from Athens on 6th July 2019 to 13th July 2019. 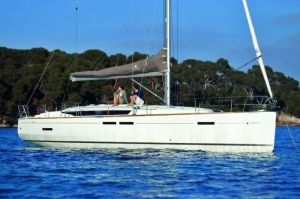 25% discount for a Jeanneau 54 from Corfu on 6th July 2019 to Athens on 13th July 2019. 14% discount for a Oceanis 51.1 from Athens on 6th July 2019 to 13th July 2019. 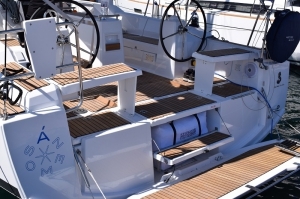 30% discount for a Bali 4.0 with watermaker from Grenada on 6th July 2019 to Le Marin on 20th July 2019. 15% discount for a Lagoon 380 from Lefkas on 6th July 2019 to Corfu on 13th July 2019. 20% discount for a Sun Odyssey 409 from Kavala (Keramoti) on 6th July 2019 to Skiathos on 13th July 2019. 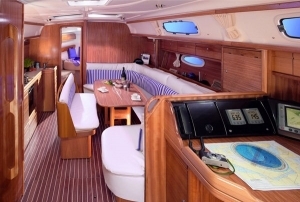 15% discount for a Oceanis 48 from Cagliari on 6th July 2019 to Olbia on 13th July 2019. 14% discount for a Lagoon 42 from Athens on 6th July 2019 to 13th July 2019. 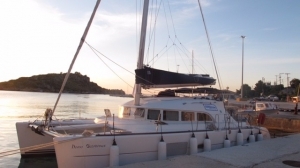 4% discount for a Oceanis 50 from Dubrovnik on 6th July 2019 to Split on 13th July 2019. 20% discount for a Lagoon 380 from Athens on 6th July 2019 to Kos on 13th July 2019. 10% discount for a Oceanis 35.1 from Carloforte on 6th July 2019 to 13th July 2019. 19% discount for a Bavaria Cruiser 45 from Athens on 6th July 2019 to Corfu on 13th July 2019. 20% discount for a Oceanis 54 from Athens on 6th July 2019 to 13th July 2019. 15% discount for a Sun Odyssey 509 from Athens on 6th July 2019 to 13th July 2019. 25% discount for a Lagoon 500 from Skiathos on 10th July 2019 to Mykonos on 13th July 2019. 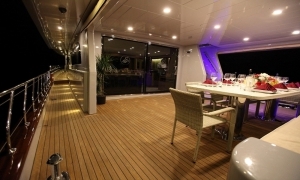 10% discount for a Oceanis 55 from Athens on 13th July 2019 to Kos on 20th July 2019. 10% discount for a Oceanis 393 Clipper from Carloforte on 13th July 2019 to 20th July 2019. 20% discount for a Fountaine Pajot Helia 44 from Athens on 13th July 2019 to Milos on 20th July 2019. 23% discount for a Lagoon 380 from Athens on 13th July 2019 to 20th July 2019. 5% discount for a Oceanis 62 Skippered with A/C from Mykonos on 13th July 2019 to Rhodes on 20th July 2019. 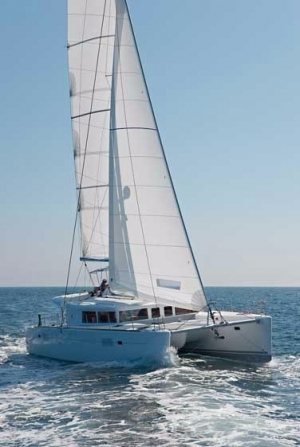 13% discount for a Dufour 520 GL from Athens on 13th July 2019 to 20th July 2019. 15% discount for a Oceanis 45 from Carloforte on 13th July 2019 to 20th July 2019. 10% discount for a Lagoon 380 from Athens on 13th July 2019 to 20th July 2019. 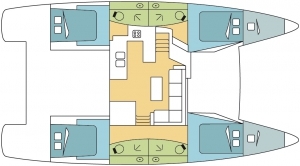 30% discount for a Bali 4.3 with watermaker from St Martin on 13th July 2019 to Grenada on 27th July 2019. 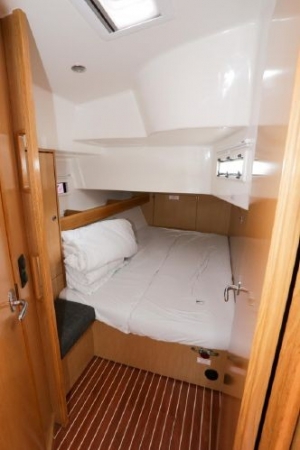 30% discount for a Bali 4.5 with watermaker & A/C - PLUS from Pointe-u00e0-Pu00eetre on 13th July 2019 to Le Marin on 20th July 2019. 30% discount for a Bavaria 51 Cruiser from Portorosa on 13th July 2019 to 20th July 2019. 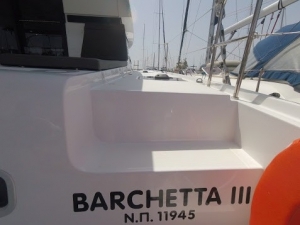 31% discount for a Bavaria 46 Cruiser from Portorosa on 13th July 2019 to 20th July 2019. 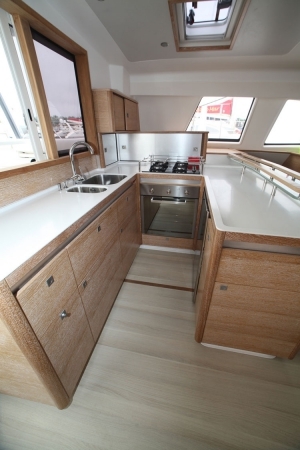 31% discount for a Dufour 445 Grand Large from Portorosa on 13th July 2019 to 20th July 2019. 14% discount for a Oceanis 51.1 from Athens on 13th July 2019 to 20th July 2019. 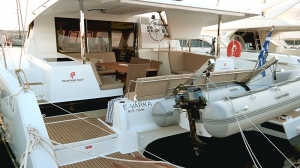 5% discount for a Lucia 40 from Mykonos on 13th July 2019 to Paros on 20th July 2019. 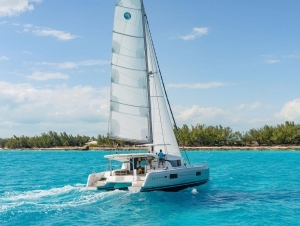 40% discount for a Bali 5.4 with watermaker & A/C - PLUS from St Martin on 13th July 2019 to Antigua on 17th July 2019. 14% discount for a Lagoon 42 from Athens on 13th July 2019 to 20th July 2019. 14% discount for a Lagoon 400 S2 from Athens on 13th July 2019 to 20th July 2019. 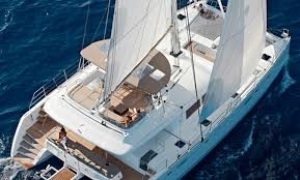 20% discount for a Oceanis 55 from Athens on 13th July 2019 to Kos on 20th July 2019. 15% discount for a Oceanis 38 from Cagliari on 13th July 2019 to Carloforte on 20th July 2019. 10% discount for a Oceanis 35.1 from Carloforte on 13th July 2019 to 20th July 2019. 20% discount for a Oceanis 54 from Athens on 13th July 2019 to 20th July 2019. 16% discount for a Oceanis 48 from Athens on 13th July 2019 to 20th July 2019. 5% discount for a Gulet from Bodrum on 13th July 2019 to 20th July 2019. 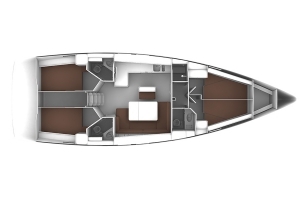 30% discount for a Nautitech 40 Open from Antigua on 16th July 2019 to St Martin on 27th July 2019. 20% discount for a Lagoon 400 S2 from Salerno on 20th July 2019 to 27th July 2019. 16% discount for a Lagoon 42 from Athens on 20th July 2019 to 27th July 2019. 10% discount for a Lagoon 42 from Athens on 20th July 2019 to Paros on 27th July 2019. 20% discount for a Fountaine Pajot Helia 44 from Athens on 20th July 2019 to Milos on 27th July 2019. 14% discount for a Lagoon 400 S2 from Athens on 20th July 2019 to 27th July 2019. 10% discount for a Oceanis 55 from Kos on 20th July 2019 to 27th July 2019. 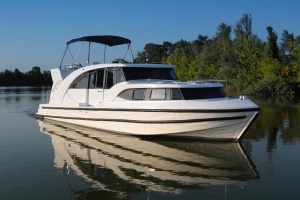 6% discount for a Bavaria Cruiser 46 from Rhodes on 20th July 2019 to Kos on 27th July 2019. 20% discount for a Lagoon 42 from Athens on 20th July 2019 to 27th July 2019. 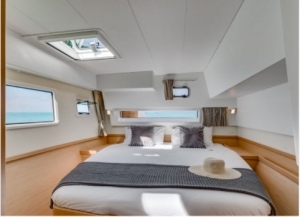 30% discount for a Bali 5.4 with watermaker & A/C - PLUS from Antigua on 25th July 2019 to St Martin on 3rd August 2019. 14% discount for a Lagoon 42 from Athens on 27th July 2019 to 3rd August 2019. 10% discount for a Jeanneau 53 from Mykonos on 27th July 2019 to Paros on 3rd August 2019. 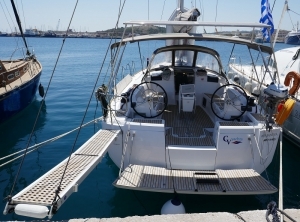 10% discount for a Oceanis 46 from Lefkas on 27th July 2019 to 3rd August 2019. 10% discount for a Oceanis 45 from Athens on 27th July 2019 to 3rd August 2019. 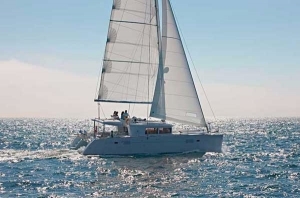 20% discount for a Lagoon 450 with watermaker from St Martin on 27th July 2019 to Tortola on 6th August 2019. 40% discount for a Helia 44 from Pointe-u00e0-Pu00eetre on 27th July 2019 to Tortola on 6th August 2019. 10% discount for a Lagoon 42 from Athens on 27th July 2019 to 3rd August 2019. 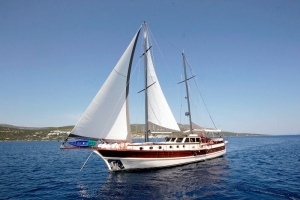 10% discount for a Lucia 40 from Mykonos on 27th July 2019 to 3rd August 2019. 10% discount for a Sun Odyssey 519 from Athens on 27th July 2019 to 3rd August 2019. 10% discount for a Lagoon 42 from Mykonos on 27th July 2019 to 3rd August 2019. 10% discount for a Lagoon 42 from Paros on 27th July 2019 to 3rd August 2019. 10% discount for a Fountaine Pajot Helia 44 from Milos on 27th July 2019 to 3rd August 2019. 10% discount for a Lagoon 52 from Milos on 27th July 2019 to 3rd August 2019. 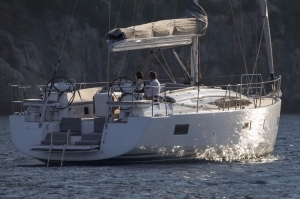 15% discount for a Jeanneau 54 from Corfu on 27th July 2019 to Athens on 3rd August 2019. 20% discount for a Saona 47 with watermaker & A/C - PLUS from Le Marin on 27th July 2019 to Grenada on 6th August 2019. 20% discount for a Sun Odyssey 490 from Olbia on 27th July 2019 to Napoli on 3rd August 2019. 10% discount for a Lagoon 380 from Athens on 27th July 2019 to 3rd August 2019. 14% discount for a Lagoon 400 S2 from Athens on 27th July 2019 to 3rd August 2019. 14% discount for a Lagoon 42 from Athens on 27th July 2019 to Paros on 3rd August 2019. 10% discount for a Oceanis 55 from Kos on 27th July 2019 to 3rd August 2019. 10% discount for a Oceanis 48 from Carloforte on 27th July 2019 to 3rd August 2019. 15% discount for a Oceanis 393 Clipper from Carloforte on 27th July 2019 to 10th August 2019. 10% discount for a Lucia 40 from Paros on 27th July 2019 to 3rd August 2019. 20% discount for a Oceanis 54 from Athens on 27th July 2019 to 3rd August 2019. 15% discount for a Oceanis 48 from Athens on 27th July 2019 to 3rd August 2019. 15% discount for a Lagoon 420 from Athens on 27th July 2019 to 3rd August 2019. 10% discount for a Lagoon 42 from Lefkas on 27th July 2019 to 3rd August 2019. 4% discount for a Oceanis 50 from Dubrovnik on 3rd August 2019 to Split on 10th August 2019. 5% discount for a Oceanis 45 from Carloforte on 3rd August 2019 to 17th August 2019. 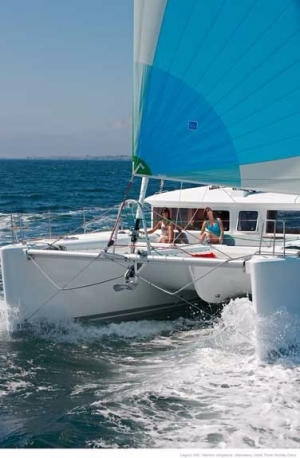 15% discount for a Jeanneau 54 from Athens on 3rd August 2019 to Kos on 10th August 2019. 30% discount for a Bavaria 51 Cruiser from Portorosa on 3rd August 2019 to 10th August 2019. 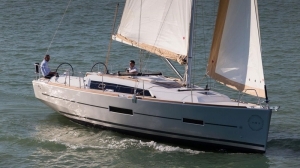 30% discount for a Bavaria NEW C45 by Cossutti from Portorosa on 3rd August 2019 to 10th August 2019. 10% discount for a Lagoon 380 from Athens on 3rd August 2019 to 10th August 2019. 14% discount for a Lagoon 42 from Athens on 3rd August 2019 to 10th August 2019. 14% discount for a Lagoon 400 S2 from Athens on 3rd August 2019 to 10th August 2019. 15% discount for a Lagoon 42 from Athens on 3rd August 2019 to 10th August 2019. 15% discount for a Oceanis 54 from Athens on 3rd August 2019 to 10th August 2019. 15% discount for a Lagoon 420 from Athens on 3rd August 2019 to 10th August 2019. 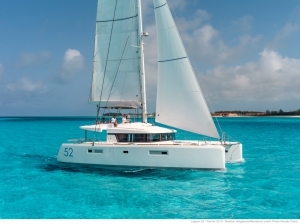 30% discount for a Salina 48 Evolution with watermaker from Tortola on 4th August 2019 to St Lucia on 17th August 2019. 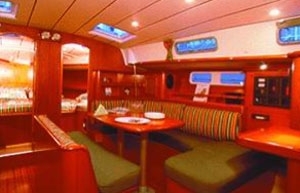 30% discount for a Bali 4.5 with watermaker from Tortola on 6th August 2019 to St Martin on 17th August 2019. 30% discount for a Helia 44 with watermaker from Tortola on 6th August 2019 to St Lucia on 17th August 2019. 40% discount for a Lagoon 450 with watermaker from Tortola on 6th August 2019 to Le Marin on 17th August 2019. 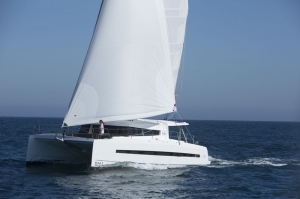 30% discount for a Catana 47 Custom with watermaker from Le Marin on 8th August 2019 to St Martin on 17th August 2019. 5% discount for a Oceanis 62 Skippered with A/C from Rhodes on 10th August 2019 to Mykonos on 17th August 2019. 7% discount for a Oceanis 48 from Cagliari on 10th August 2019 to Carloforte on 24th August 2019. 10% discount for a Bavaria 46 Cruiser from Portorosa on 10th August 2019 to 17th August 2019. 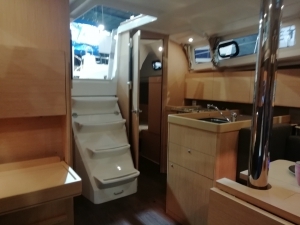 10% discount for a Bavaria NEW C45 by Cossutti from Portorosa on 10th August 2019 to 17th August 2019. 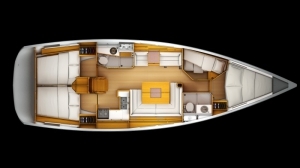 10% discount for a Dufour 445 Grand Large from Portorosa on 10th August 2019 to 17th August 2019. 10% discount for a Lagoon 380 from Athens on 10th August 2019 to 17th August 2019. 14% discount for a Lagoon 42 from Athens on 10th August 2019 to 17th August 2019. 14% discount for a Lagoon 400 S2 from Athens on 10th August 2019 to 17th August 2019. 10% discount for a Oceanis 393 Clipper from Carloforte on 10th August 2019 to 24th August 2019. 15% discount for a Oceanis 54 from Athens on 10th August 2019 to 17th August 2019. 15% discount for a Lagoon 420 from Athens on 10th August 2019 to 17th August 2019. 5% discount for a Oceanis 35.1 from Carloforte on 10th August 2019 to 24th August 2019. 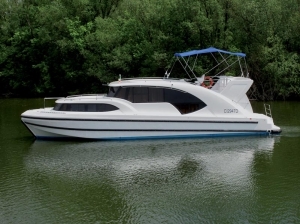 30% discount for a Dufour 520 GL with watermaker & A/C - PLUS from St Vincent on 10th August 2019 to St Lucia on 21st August 2019. 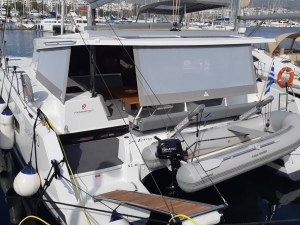 30% discount for a Catana 55 CI with watermaker & A/C - PLUS from St Martin on 13th August 2019 to Le Marin on 24th August 2019. 23% discount for a Lagoon 380 from Athens on 17th August 2019 to 24th August 2019. 5% discount for a Oceanis 45 from Carloforte on 17th August 2019 to 31st August 2019. 14% discount for a Oceanis 51.1 from Athens on 17th August 2019 to 24th August 2019. 14% discount for a Lagoon 42 from Athens on 17th August 2019 to 24th August 2019. 14% discount for a Lagoon 400 S2 from Athens on 17th August 2019 to 24th August 2019. 15% discount for a Lagoon 42 from Athens on 17th August 2019 to 24th August 2019. 15% discount for a Oceanis 54 from Athens on 17th August 2019 to 24th August 2019. 15% discount for a Cyclades 50.5 from Athens on 17th August 2019 to 24th August 2019. 20% discount for a Lagoon 420 from Athens on 17th August 2019 to 24th August 2019. 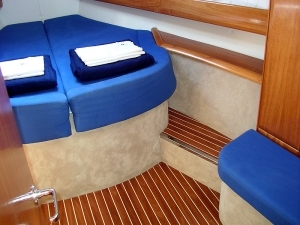 40% discount for a Lagoon 450 with watermaker from Tortola on 19th August 2019 to St Martin on 25th August 2019. 40% discount for a Lagoon 450 with watermaker from Tortola on 19th August 2019 to Le Marin on 26th August 2019. 40% discount for a Helia 44 from Tortola on 19th August 2019 to Pointe-u00e0-Pu00eetre on 25th August 2019. 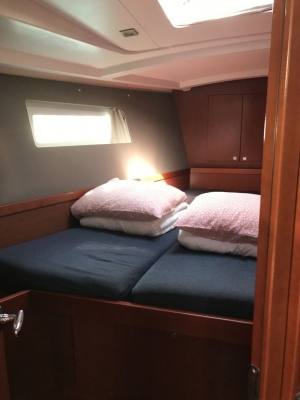 40% discount for a Helia 44 with watermaker from Tortola on 19th August 2019 to Le Marin on 26th August 2019. 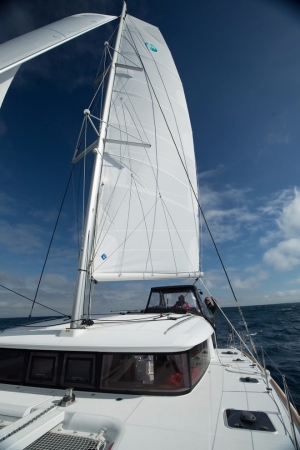 40% discount for a Catana 47 CI with watermaker from Tortola on 19th August 2019 to St Martin on 25th August 2019. 10% discount for a Lagoon 450 F from Mykonos on 24th August 2019 to 31st August 2019. 15% discount for a Sun Odyssey 519 from Athens on 24th August 2019 to 31st August 2019. 10% discount for a Dufour 520 GL from Mykonos on 24th August 2019 to 31st August 2019. 15% discount for a Fountaine Pajot Helia 44 from Milos on 24th August 2019 to 31st August 2019. 10% discount for a Lagoon 52 from Milos on 24th August 2019 to 31st August 2019. 17% discount for a Lagoon 380 from Athens on 24th August 2019 to 31st August 2019. 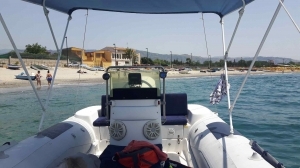 10% discount for a Lagoon 42 from Lefkas on 24th August 2019 to 31st August 2019. 15% discount for a Oceanis 43 from Athens on 24th August 2019 to 31st August 2019. 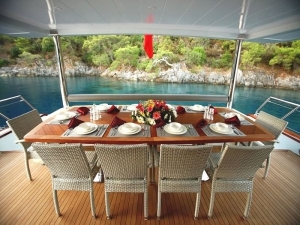 10% discount for a Oceanis 46 from Lefkas on 24th August 2019 to 31st August 2019. 15% discount for a Oceanis 45 from Athens on 24th August 2019 to 31st August 2019. 10% discount for a Lagoon 450 F from Athens on 24th August 2019 to 31st August 2019. 15% discount for a Sun Odyssey 419 from Athens on 24th August 2019 to 31st August 2019. 15% discount for a Lagoon 42 from Athens on 24th August 2019 to 31st August 2019. 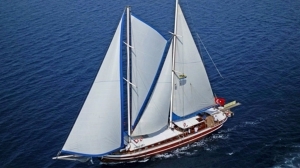 10% discount for a Lucia 40 from Mykonos on 24th August 2019 to 31st August 2019. 10% discount for a Lagoon 56 from Milos on 24th August 2019 to 31st August 2019. 14% discount for a Oceanis 51.1 from Athens on 24th August 2019 to 31st August 2019. 10% discount for a Lagoon 380 from Athens on 24th August 2019 to 31st August 2019. 14% discount for a Lagoon 42 from Athens on 24th August 2019 to 31st August 2019. 14% discount for a Lagoon 400 S2 from Athens on 24th August 2019 to 31st August 2019. 5% discount for a Oceanis 393 Clipper from Carloforte on 24th August 2019 to 31st August 2019. 15% discount for a Oceanis 54 from Athens on 24th August 2019 to 31st August 2019. 18% discount for a Cyclades 50.5 from Athens on 24th August 2019 to 31st August 2019. 20% discount for a Lagoon 420 from Athens on 24th August 2019 to 31st August 2019. 15% discount for a Lagoon 420 from Athens on 24th August 2019 to 31st August 2019. 10% discount for a Oceanis 34 from Carloforte on 24th August 2019 to 7th September 2019. 17% discount for a Lagoon 380 from Athens on 31st August 2019 to 7th September 2019. 10% discount for a Lagoon 380 from Athens on 31st August 2019 to 7th September 2019. 30% discount for a Bavaria 51 Cruiser from Portorosa on 31st August 2019 to 7th September 2019. 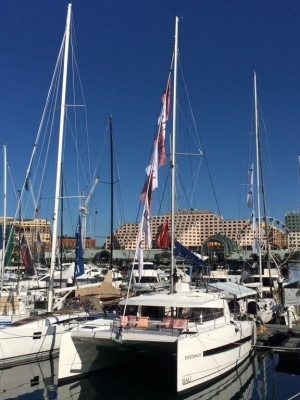 30% discount for a Bavaria 46 Cruiser from Portorosa on 31st August 2019 to 7th September 2019. 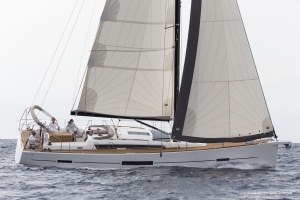 30% discount for a Bavaria NEW C45 by Cossutti from Portorosa on 31st August 2019 to 7th September 2019. 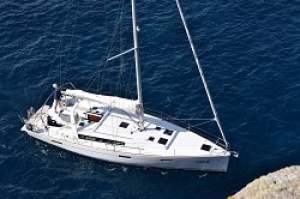 20% discount for a Dufour 520 GL from Athens on 31st August 2019 to Milos on 7th September 2019. 14% discount for a Lagoon 42 from Athens on 31st August 2019 to 7th September 2019. 14% discount for a Lagoon 400 S2 from Athens on 31st August 2019 to 7th September 2019. 14% discount for a Bavaria 50 Cruiser from Rhodes on 31st August 2019 to Kos on 7th September 2019. 12% discount for a Bavaria 50 Cruiser from Rhodes on 31st August 2019 to Kos on 7th September 2019. 10% discount for a Minuetto6+ from Precenicco on 31st August 2019 to Casale sul Sile on 7th September 2019. 19% discount for a Lagoon 42 from Athens on 31st August 2019 to 7th September 2019. 15% discount for a Cyclades 50.5 from Athens on 31st August 2019 to 7th September 2019. 5% discount for a Oceanis 35.1 from Carloforte on 31st August 2019 to 14th September 2019. 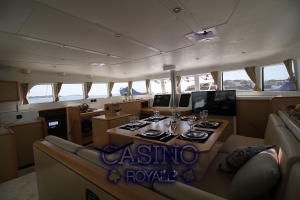 10% discount for a Comet 52 RS from Cagliari on 1st September 2019 to Carloforte on 8th September 2019. 25% discount for a Sun Odyssey 49i from Kos on 7th September 2019 to Lavrion on 14th September 2019. 10% discount for a Oceanis 48 from Cagliari on 7th September 2019 to Carloforte on 14th September 2019. 10% discount for a Lagoon 380 from Athens on 7th September 2019 to 14th September 2019. 14% discount for a Lagoon 42 from Athens on 7th September 2019 to 14th September 2019. 14% discount for a Lagoon 400 S2 from Athens on 7th September 2019 to 14th September 2019. 15% discount for a Cyclades 50.5 from Athens on 7th September 2019 to 14th September 2019. 15% discount for a Oceanis 34 from Carloforte on 7th September 2019 to 14th September 2019. 19% discount for a Lagoon 380 from Athens on 14th September 2019 to 21st September 2019. 15% discount for a Oceanis 45 from Carloforte on 14th September 2019 to 21st September 2019. 10% discount for a Lagoon 380 from Athens on 14th September 2019 to 21st September 2019. 30% discount for a Bavaria 46 Cruiser from Portorosa on 14th September 2019 to 21st September 2019. 30% discount for a Bavaria NEW C45 by Cossutti from Portorosa on 14th September 2019 to 21st September 2019. 31% discount for a Dufour 445 Grand Large from Portorosa on 14th September 2019 to 21st September 2019. 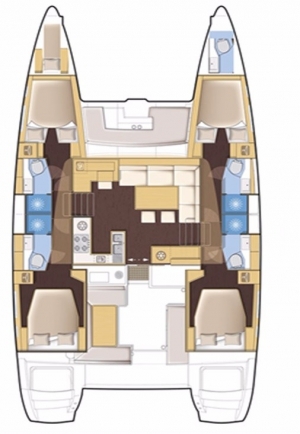 20% discount for a Sun Odyssey 490 from Napoli on 14th September 2019 to Olbia on 21st September 2019. 14% discount for a Lagoon 42 from Athens on 14th September 2019 to 21st September 2019. 14% discount for a Lagoon 400 S2 from Athens on 14th September 2019 to 21st September 2019. 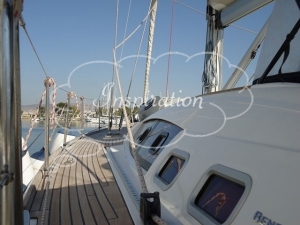 19% discount for a Lagoon 42 from Athens on 14th September 2019 to 21st September 2019. 10% discount for a Oceanis 48 from Carloforte on 14th September 2019 to 21st September 2019. 15% discount for a Oceanis 393 Clipper from Carloforte on 14th September 2019 to 21st September 2019. 15% discount for a Oceanis 34 from Carloforte on 14th September 2019 to 21st September 2019. 5% discount for a Gulet from Bodrum on 14th September 2019 to 21st September 2019. 20% discount for a Oceanis 393 Clipper from Carloforte on 21st September 2019 to 28th September 2019. 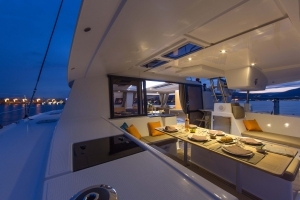 20% discount for a Lagoon 400 S2 from Salerno on 21st September 2019 to 28th September 2019. 15% discount for a Oceanis 45 from Carloforte on 21st September 2019 to 28th September 2019.